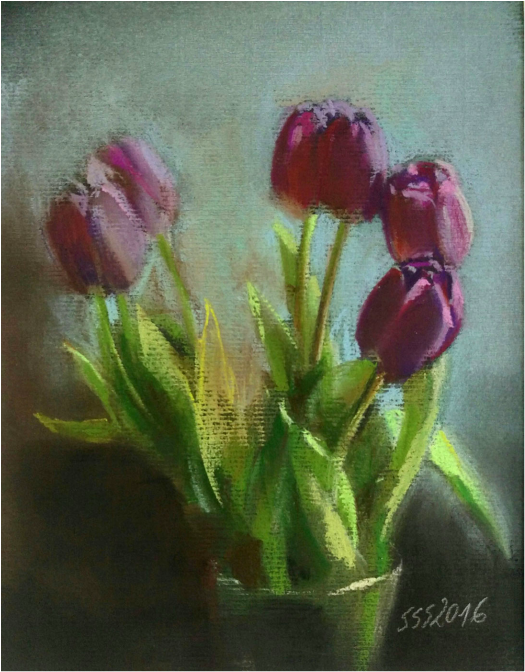 ​For the most part, I paint from life and as the light on the tulips and vase were constantly changing, I had to work rather quickly to capture their charm. ​I am very happy with my Easel Butler, I use it on my tripod easel to hold my pastel tray. Thank you from windy Denmark!